Welcome to the new ITI-ISTANBUL Moodle site. ITI is one of the world's leading ELT teacher training centres offering the full range of Cambridge ESOL teaching qualifications on a full- or part-time, blended or fully online basis. We also provide free resources for teachers such as articles on teaching topics, lesson plans and a job placement service. 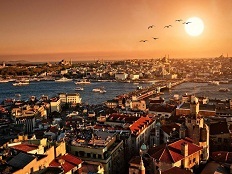 How European is Istanbul ?